For 32 years KidsGardening.org has had the honor of annually selecting youth-centered garden programs to receive our Youth Garden Grants, the longest running of the many garden grant programs we offer. 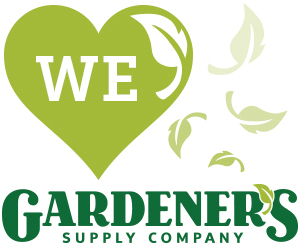 Over that time, we’re proud to have been able to give support to over 1000 school and community youth garden programs. We’ve learned a great deal about creating successful school gardens from the experiences of these amazing grant winners over the years. Check out highlights from three exceptional programs that received a Youth Garden Grant in 2014. Fresh salsa kickstarted the revitalization of the Harwich Elementary School courtyard garden in Harwich, Massachusetts. Prior to leaving school for summer break in 2013, students planted 135 square feet of tomato and tomatillo plants. Upon return in the fall, a large harvest was celebrated and enjoyed in the cafeteria in the form of salsa. School wide interest took off from that point, with students and teachers alike taking an active role in growing and sustaining the garden. Every child at the school participated, from preschool students through the fourth grade. Harwich Elementary’s key to success was for every class to focus on growing and caring for one type of plant, ensuring that every class and teacher had a direct stake in the garden. As an example, kindergarteners focused on creating a successful pumpkin patch, while third graders engaged in growing and studying milkweed. The larger community was engaged to ultimately expand the growing space and to ensure summer maintenance. Volunteers for the garden expansion and clean up included regional high school students, the local garden club, community members, and school staff. Working together the team cleared a portion of the courtyard of weeds and debris so when it came time to plant students had access to over 1,000 square feet of growing space. Presently the gardens at Harwich Elementary School include a pumpkin patch, butterfly garden, herb garden, and specialized herb gardens for pizza. The school had a pumpkin growing contest this past fall, and then displayed their harvest near the front office. During winter months students focus on plant science and growing greens under grow lights. When it comes to creating a successful school garden, Kait Orr, math instructor and garden advisor at TAF Academy, is proud to celebrate “a million tiny successes and some massive yellow squash.” The garden at TAFAcademy, a public school in Federal Way, Washington, had humble beginnings. With just one eighth grade class gardening in two raised beds, the garden program began as a class project that was quickly abandoned during summer months. Inspired and led by an academically struggling ninth grader, a dedicated team of students and teachers decided to rebuild the garden in 2013 and truly make it accessible to all students for years to come. This new project was slated to be a team effort and sought input and help from a variety of classes, teachers, and community members. Beginning with design and construction, sixth and eighth grade math classes were tasked with the creation of four additional raised beds. The newly formed garden club helped move the previously constructed beds to a more visible location and worked with math classes regarding placement of new beds. Art students added to the garden with a creation of a pallet herb garden, and a STEM integration class took part in creating a rain catchment system to help with watering. With students, teachers, and parents involved in growing and maintaining the beds, the school began to see signs of success. The garden has helped to students achieve breakthroughs, contributing to what Kait Orr sees as “a million tiny successes.” She comments, “Several students overcame difficulty applying academic concepts, including math and science; the student who led the charge to rebuild the garden successfully submitted for grants to sustain the garden space; and perhaps most importantly, students have overcome personal challenges, both physical and mental, through work in the garden setting.” The school continues to successfully sustain their garden through fundraisers and community support. Establishing a school garden at Tamarack Waldorf School in Milwaukee, Wisconsin was no easy task. The school was looking to promote physical exercise and healthy eating habits to its students and their families, but lacked the space and funding to provide the opportunity. After exploring their options, the school contacted Milwaukee Public Schools to establish a garden at nearby Pulaski Park, a small neighborhood park owned by the school district. Pulling together a small amount of funding, the school established a few raised beds and reached out to KidsGardening.org for help to grow the garden. With the support of a KidsGardening.org’s Youth Garden Grant twice over, along with additional support from Whole Kids Foundation and a number of local grants and donations, Tamarack Waldorf School now has a thriving garden program consisting of nine raised beds, a student designed water catchment unit, and composting system. The garden provides academic opportunities for all K-8 classrooms year-round, as well as educational opportunities for the larger community visiting the park. Each grade level has a different focus in the garden, which helps to bring a number of hands committed to garden upkeep and expansion: Third graders focus on growing vegetables, herbs, and flowers, while fourth graders are responsible for the harvest. Fifth grade students focus on botany lessons, and grades six through eight carry out community service projects by harvesting vegetables for processing and donation to local shelters and homes for the needy. To sustain the garden, the school has established a community garden committee consisting of school staff, community members, and parents. In the future, Tamarack Waldorf hopes sell some of the produce at the local farmers’ market.